Youngsters love the enormous size and strength of these ancient beasts that roamed our world millions of years ago. Create these miniature reptiles to assist with a school project or just for a fun afternoon of playtime. 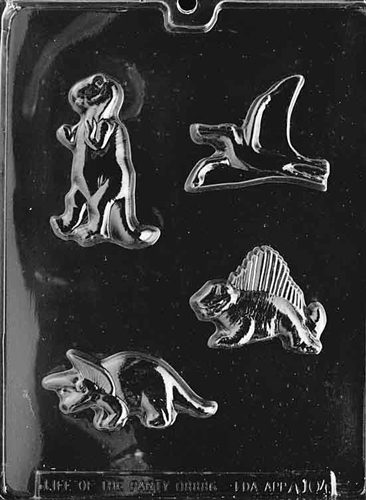 Your young ones will love the Four Dinosaurs Mold. Estimate 1.2 ounces of Guittard wafers per piece.